Air tools have many advantages, such as: simple mechanism, easy to maintenance, safety, high efficiency on kinetic energy transfer, etc.. These are why air tools have been popularly used under worse working environment. Machinery, ship, automotive, motorcycle, and bicycle’s production and repair. Building construction, decoration, wood working, and stone industry’s machining work and delicate. Grinding, sanding, polishing, painting, locking, paint removal, cutting and other surface work. In industry and factory areas are often full of high temperature, humidity, flammable gas, and low dust and explosion-proof request, air tools are the best and proper tools for using under these condition. Air tools have no ignition structure; really keep workers away from dangerous. Air tools only needs air supply system, such as air compressor, it has overload protection won’t cause any dangerous even using a long time. Air supply system can be in organized management, output and extension are safer, if air hose is damaged or broken, the operation will be shut off immediately. Air tools has simple structure, it’s much easier to repair and troubleshooting than power tools. Air tools are lighter than power tools, with higher work efficiency. Good structure design will less output torque loss, efficiency can be greatly improved. Air compressed by air compressor to be the power source, driving the motor to have the output kinetic energy to the end operation for different mechanical design work. Initial power source is from air tool motor, through transmission mechanism, it can be developed to two design: Rotary and reciprocating. Using regularly with oil input and worn parts replacement are the main job for air tools maintenance. Make sure the air inlet power source is disconnected, use correct tools to disassemble tools to do oil cleaning or maintenance, after maintenance, check precisely that every fastener has been tighten, connect to the power source then test the tools. It is highly recommended to use specific oil which attached with the tools for maintenance, to less parts worn out and increase tools’ life. If possible, please use “Air Preparation Unit” to be the power source filter, it can do filtration (water filtration), pressure stabilizing (adjustable), and oil lubrication (oil mist). It is very important for air tools, and a good way to reduce tool repair and maintenance. 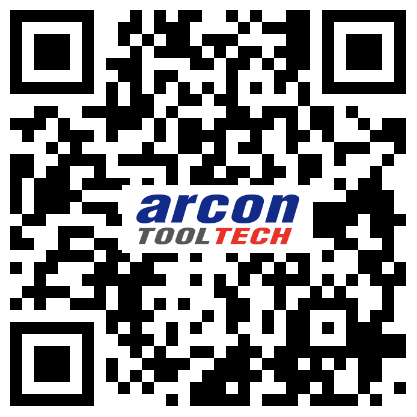 © 2016 Arcon Ltd. (ArconToolTech) All rights reserved.